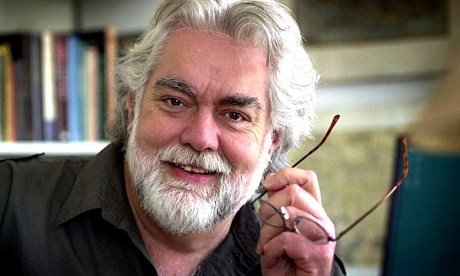 Gunnar Hansen’s Chain Saw Confidential: How We Made The World’s Most Notorious Horror Movie is one for the diehards and Texas Chainsaw Massacre completists. 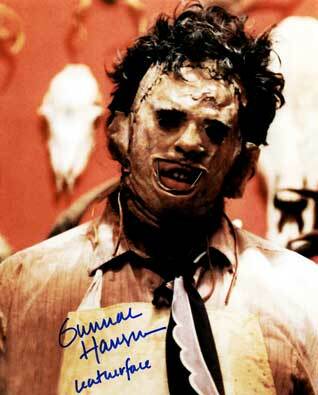 Gunnar played Leatherface, the film’s truly terrifying villain and a subsequent iconic film figure, and he has gone on to enjoy the cultish fame and career that comes from being tall enough to fit the costume in an incredibly successful, influential – and truly brilliant – genre masterpiece. Unfortunately his book detailing that experience focuses a little too much on… details. The vast majority of the twenty-one chapters involve intimate depictions of the technical difficulties of the shoot, from Hansen’s perspective: thus, the challenges of running in that mask and those shoes while carrying a chainsaw; wielding a chainsaw; wearing that hot mask; coming up behind people in that mask and those shoes wielding a chainsaw… These details are the banal, everyday, moment-to-moment minutiae of set life, and devoting a book to them may seem strange. But obsessive fans want total coverage, and that’s what Hansen offers: essentially, every single shot that Leatherface is in is covered from every angle (pun totally intended) and the effect is similar to that of a Beatles book that closely analyses the differences in John’s vocal lilt from takes 17 to 18 on any given song. As I say, one for the diehards, and they just may love it. Put another way: if you’d go to a horror movie convention, you’d probably love this book. There are a couple of more generally appealing chapters about Gunnar’s post-production weird style of fame, but these are short. A long chapter on the film’s financial fallout is taxing, and Gunnar’s final few chapters, analysing the film’s themes in the style of an essay, show that he’s a very lightweight essayist. Rehashing the horror vs terror concept through the lens of Peeping Tom has been done, to say the least. The fascinating thing about someone like Gunnar is that they stumbled into a cultural phenomenon and had, to whatever degree, and for better or worse, their lives changed. It would have been terrific to get more of that life, and those effects. 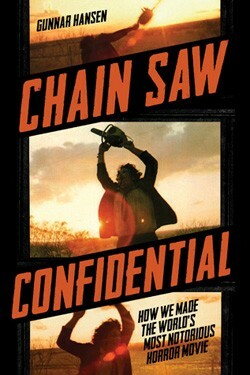 Essentially Chain Saw Confidential is a set-diary-by-memory, and very, very dry. But, if you’ve seen the movie more than three times… it’s for you.